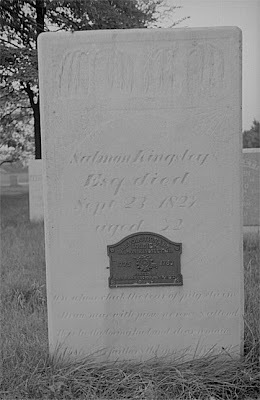 Salmon Kingsley, Jr. was a Minuteman during Revolutionary War who aided in the defense of Boston. 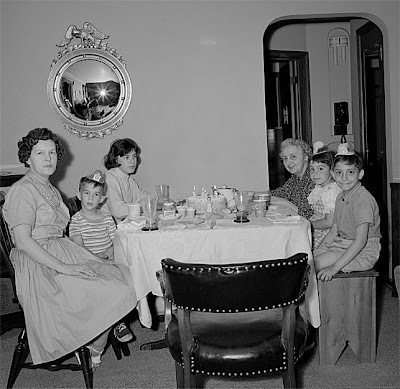 The photo is from the 1940's. 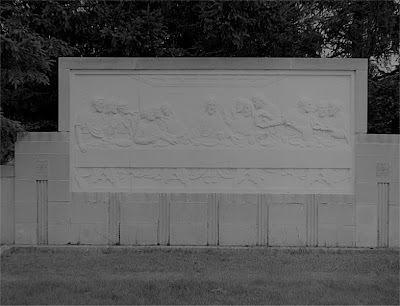 Does anyone know where this outdoor rendition of the Last Supper is located? Maybe Tom Hanks can help with the mystery. The photo is from the 1960's. Does anyone know where this is? The building appears to be massive and is likely still standing. The photo is from the 1940's. Thanks to Kelli for identifying the building as the Union Station located in St. Louis, Missouri. The station opened in 1894 and closed in 1978. The station still stands but is now a hotel and entertainment complex. 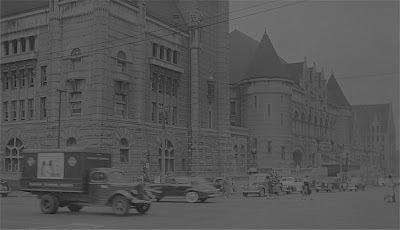 If you like to learn more about Union Station, please click here. Ookpik’s Negativity is two years old today! Thanks to all who have visited, read, lurked or commented. Here is to another fun filled year of using yesterday's negatives to create today's positives! Does anyone recognize this large wooden horse? 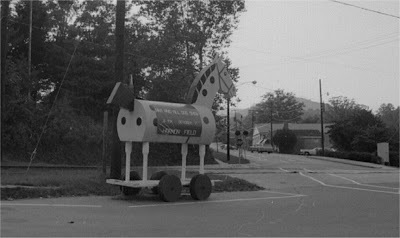 The sign on the horse appears to say "Harmon Field." The photo is from the 1960's. Thanks to Mckenzie for identifying the horse as “Morris the Horse.” Morris is the official mascot of Tryon, North Carolina. If you would like to learn more about Morris the Horse as well as Tryon, North Carolina please click here.